GORGEOUS 2 Storey W/Bsmt, 8 BDS, 6 BATHS on 8190sq Lot CUSTOM BUILT HOME w/MODERN DESIGN & LUXURIOUS FINISHING. STUNNING GRAND FOYER W/18ft HIGH CEILING, CONTEMPORARY GLASS & STAINLESS STEEL RAILING, GORGEOUS HARDWOOD FLR ALONG W/CRAFTMAN'S DETAILS THROUGHOUT. Chef & Entertainer will delight in the LARGE GOURMET KITCHEN W/HIGH END CABINETS & TOP OF THE LINE WOLF BUILTIN STAINLESS APPLS; HUGE CENTRE ISLAND. Main flr has 1 large bd/office, upstairs has 3 huge bds, all w/full ensuites & 2 walkin closets. DOWNSTAIRS HAS 2 SEPARATE ENTRANCE, ONE TO 2BDS LEGAL SUITE W/KITCHEN & BATH; THE OTHER INLAW SUITE W/2BDS, BATH & REC RM, currently for upstairs use. 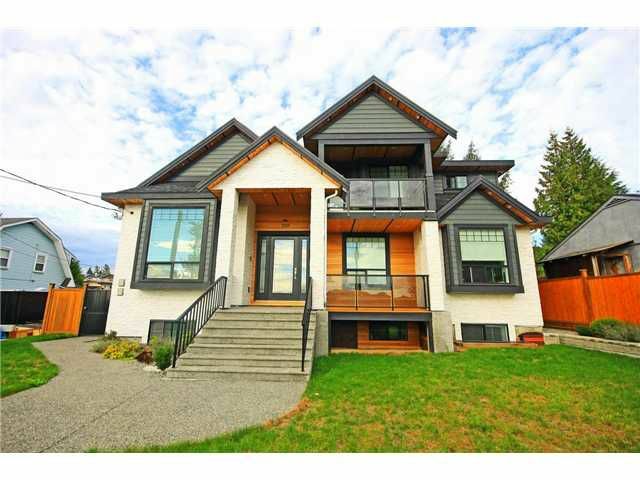 WALK TO TRANSIT & SCHOOL, 3 MINS DRIVE TO LOUGHEED MALL & QUICK ACCESS TO HWY 1.